Buy Carrera CARRERINO 22 S sunglasses online at a friendly price. Originally made in 2018, CARRERINO 22 S are lightweight plastic frames. Each pair of authentic Carrera sunglasses ships worldwide with Carrera glasses case and a cleaning cloth. Buy Carrera CARRERINO 21 S sunglasses online at a friendly price. Originally made in 2018, CARRERINO 21 S are lightweight metal frames. Each pair of authentic Carrera sunglasses ships worldwide with Carrera glasses case and a cleaning cloth. Buy Carrera CARRERINO 20 S sunglasses online at a friendly price. Originally made in 2018, CARRERINO 20 S are lightweight plastic frames. Each pair of authentic Carrera sunglasses ships worldwide with Carrera glasses case and a cleaning cloth. Buy Carrera CARRERINO 19 S sunglasses online at a friendly price. Originally made in 2018, CARRERINO 19 S are lightweight plastic frames. Each pair of authentic Carrera sunglasses ships worldwide with Carrera glasses case and a cleaning cloth. 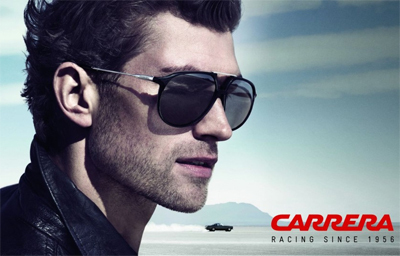 Buy Carrera CARRERINO 17 S sunglasses online at a friendly price. Originally made in 2019, CARRERINO 17 S are lightweight plastic frames. Each pair of authentic Carrera sunglasses ships worldwide with Carrera glasses case and a cleaning cloth. Buy Carrera CARRERINO 15 S sunglasses online at a friendly price. Originally made in 2018, CARRERINO 15 S are lightweight plastic frames. Each pair of authentic Carrera sunglasses ships worldwide with Carrera glasses case and a cleaning cloth. Buy Carrera CARRERINO 14 S sunglasses online at a friendly price. Originally made in 2018, CARRERINO 14 S are lightweight plastic frames. Each pair of authentic Carrera sunglasses ships worldwide with Carrera glasses case and a cleaning cloth.